You’ll find that wine in Bali is very expensive especially top labelled wines from around the world when compared with what you are used to paying at home. Imported wine in Bali has around 200% tax added to it, which makes it quite expensive to buy your favourite wine from home. To give you some idea of the price of basic quaffing wines priced around $10 to $15 in Australia, they generally range from RP280 000 up to RP600 000 in Bali, which means you are up for $30 at the bottom end of the market through to $75 for a half reasonable wine and a lot more for good quality wine. If you know of any other good places to buy Alcohol in Bali.. Let us know, so we can add it to the list. Here are some of the most popular Bali Wines and an estimate price for them in store (not a restaurant). 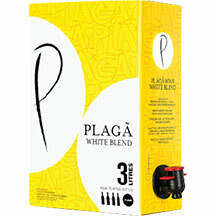 Relatively new on the scene, Plaga produces fun and flavorful wines for all occasions, using only the finest imported grapes from Chile and Australia. With guidance from their Argentinian winemaker, the grapes are fermented and bottled in their state-of-the-art winery in Bali, which cuts down on costs without compromising on quality. Try their light and refreshing Rose for sunny patio sessions, go for the fruity Chardonnay or crisp Sauvignon Blanc to accompany those seafood feasts on the beach, or relax with a glass of the smooth and sultry Cabernet Sauvignon while chilling out at home or for nights out on the town. 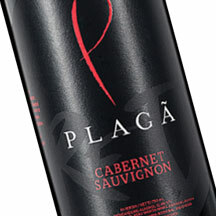 CABERNET SAUVIGNON – Plaga Cabernet Sauvignon is bold, fruity and powerful, with a ruby-red colour reminiscent of young Italian wines. 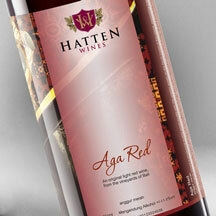 A complex aroma blends red fruits such as berries and plums, with hints of black pepper and spices. Oak-aging introduces memories of vanilla and coffee. Young, fruity and soft on the palate, a delicate wine with good structure, and a taste that is fresh, round and well balanced. A friendly wine with a long pleasant finish. 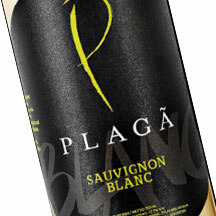 SAUVIGNON BLANC – Plaga Sauvignon Blanc is refreshing and playful, with a crisp, elegant flavour that hints of tropical fruit, citrus and honey. A good balance of acidity with sweetness enhances its character. A highly palatable young wine with a long, fresh finish, sharp and nice acidity. SWEET ROSE – Soft Pink Pale wine roses, best served chilled. Fragrant aroma of candy that remind us the childhood sweets. Intense, yummy and very pleasant. A sweet, young but balanced wine with a long pleasant finish. 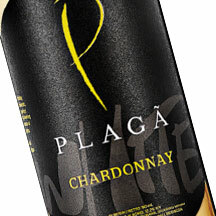 CHARDONNAY – Plaga Chardonnay has a pure and simple flavour that hints of the tropics, with a taste that is young, fresh and highly suited to new drinkers. Imbued with notes of tropical fruits like pineapple and mango, with just a hint of honey. Fresh and long in the mouth with a clean finish and a natural acidity that combines well with the sweetness of tropical fruit. A light and easy to drink Chardonnay. 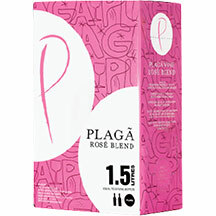 ROSE – Soft Pink Pale wine roses, best served chilled. Fragrant aroma of candy that remind us the childhood sweets. Intense, yummy and very pleasant. A sweet, young but balanced wine with a long pleasant finish. 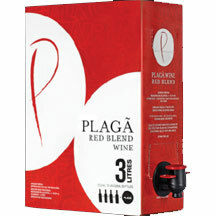 RED BLEND – A fruit forward red wine, with not pretentions of being to big, what make’s it enjoyable since the first sip. Colour: Clear Red Rubi. Aroma : Aromas of red berries with some hints of varietal species and toasted thanks to 4 month in contact with oak. 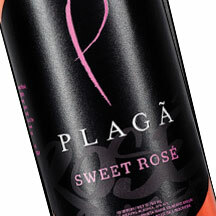 Palate: A light but soft tannic wine with very nice balance in mouth. 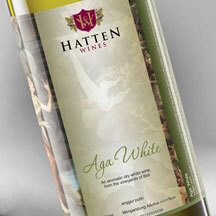 WHITE BLEND – A flavoured white, with Muscat base, fresh and reminiscences of tropical fruits like mango and pineapple, light and easy drinking. Colour: Pale light yellow. Aroma : There’s a delicate floral base that give way to some tropical fruits. Palate: Slightly sweet to support all evolving flavors, but with balanced fresh acidity. Better drink cold. 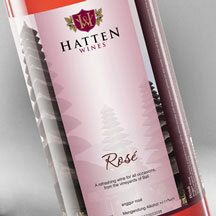 ROSE BLEND – A flavored rose, easy drinking, perfect for parties and to be paired with any kind of light food. Colour: Pale pink, onion skin. Aroma : flowers and tropical fruits. Palate: Slightly sweet to support all evolving flavors, but with balanced fresh acidity. Better drink cold. The rich volcanic soil and dry climate of northern Bali offer the perfect conditions for growing wine grapes, and grape farmers have been harvesting, big juicy grapes here for over 100 years. Recently, Sababay Winery partnered with local farmers in the region to introduce international standards of viticulture. The result was a dramatic increase in the quality of the grapes and income for the local farmers. Sababay now uses these superb grapes to produce vibrant ‘New Latitude’ wines that are full on flavor and easy on the wallet. As an added bonus, they also offer fully guided tours of their winery in Gianyar, so you can see firsthand the modern methods and organic processes that they use to produce their wines. 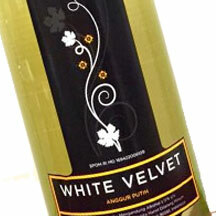 White Velvet – Green gold in colour with distinctive rose petals, melon and star fruit aromas. 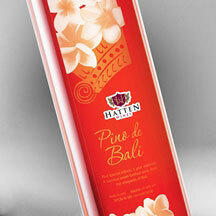 Fresh and zesty palate with subtle essences of musk and tropical fruit. 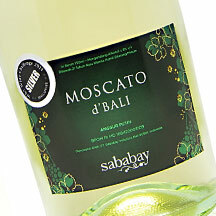 A lively fruity dry white style well suited on its own or with spicy grilled seafood, beautiful curry and creamy dessert. Must be served very chilled. 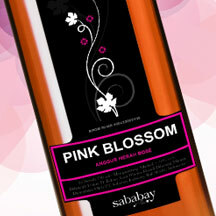 Pink Blossom -Brilliant cerise tones with an abundance of fresh berry fruits, lychee and guava aromas. Generous and persistent exotic fruit character on the palate with refreshing crisp finish. 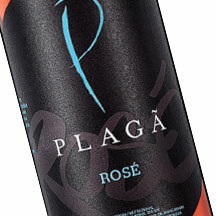 An aromatic rose style which will suit any menu and a great choice as an aperitif. Designed to be enjoyed young and at its best when served chilled. 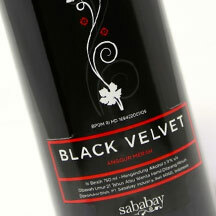 Black Velvet – Brilliant dark ruby red tones with a bouquet of ripe berry fruits, plums, roasted oak and a hint of nutmeg. Light bodied with a savory palate and long spicy fruit flavors. 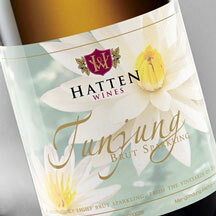 An easy drinking red style ready to be enjoyed now over a large range of Asian cuisine. Designed for a short cellaring and at its best when served slightly chilled. Reserve Red – Brilliant deep cardinal red tones with a bouquet of ripe cherries, raisins, dark chocolate with a hint of pimento and clove. A full bodied and fleshy palate with lingering flavors of berries and cedary oak. 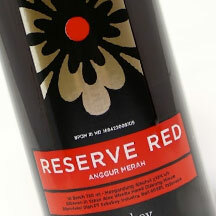 A well structured red style that will compliment saucy dark meat as well as tomato based vegetarian dishes. – Paddy straw colour with persistant fine bubbles. Scents of white flowers with mango overtones and a zest of lemon rind. 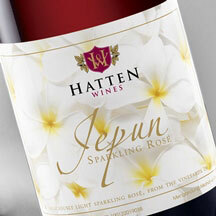 Fragrant fruity palate with moderate alcohol and lively refreshing effervescence. Perfect for those who like sweet bubbles and suitable for all occasions. A must with vanilla coated mango mousse and to be served very chilled. 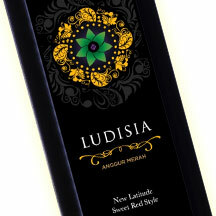 Ludisia – Brilliant dark crimson red tones with a rich bouquet of apricot, chocolate and cinnamon. 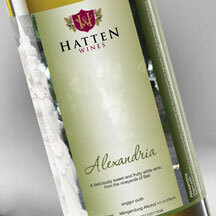 A soft and delicate medium bodied palate with a hint of orange peel. Warm and luscious finish that will accompany a wide variety of dishes ranging from red meat served with creamy sauces to desserts. The wine can be served slightly chilled or at room temperature. Artisan Wines began with a challenge, and that was to grow wine grapes in Australia and then produce the wine in Bali, while still maintaining the rich color, flavor and balance you would expect of an Australian wine. Acclaimed winemaker Craig Newton finally came up with a method of protecting the raw grape juice on its journey to the island, and a new breed of wineries was born. Artisan Wines now offers their Chardonnay and Sauvignon Blanc, as well as a rich and fruity Shiraz that can hold its own next to any other locally produced red wine on the island. 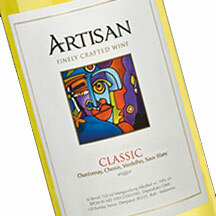 2010 Artisan Classic – A smooth integration of clean crisp fruit acidity and tropical flavours. The combination of pineapple, melon and apple leads to a medium bodied wine with a vibrant mouth-feel that is perfectly balanced. The wine has good length and leaves you with a fresh crisp finish. 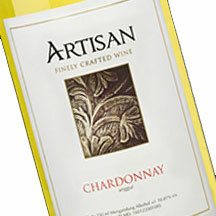 2014 Artisan Chardonnay – A rich full flavour of melon and peach with a luscious mango creaminess. Supportive green apple natural acidity balances this wine leaving you with a lingering finish. Best served well chilled. 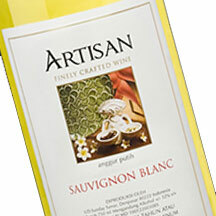 2014 Artisan Sauvignon Blanc – A complex mix of flavours bursting with gooseberry, green apple, honeydew melon and asparagus with herbaceous overtones. The clean crisp natural fruit acidity portrayed by the lemon/lime sorbet on the palate balances beautifully with the rich fruit flavours that linger on. Best served well chilled. 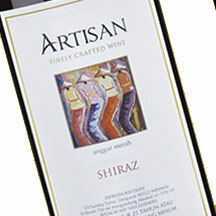 2014 Artisan Shiraz – A wonderful mix of spicy white pepper, blackcurrant and dark cherries with hints of dark chocolate. A touch of French oak provides fullness and roundness to the palate giving you an eminently drinkable and versatile wine with a lingering length. Don’t be afraid to serve this wine slightly chilled.